Mutha Construction is a part of the Kalyan-based Mutha Group, a diverse business entity that has evolved and grown rapidly over the years and has a presence across jewellery manufacture and sales, education, real estate development and Information Technology. 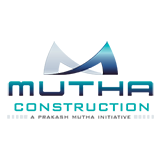 Mutha Construction, a Prakash Mutha initiative, was established with a view to build on the solid trust, immense goodwill and sterling reputation built by Mutha Jewellers. Mutha Construction's journey began with a vision to redefine the skyline of Kalyan and a mission to offer world-class real estate development to a discerning clientele. Every project is characterized by innovation that sets new benchmarks in design, comfort and luxury. Bringing the best of the world to Kalyan and developing landmark real estate projects is the hallmark of Mutha Construction. With a considerable land bank in hand in and around Kalyan, Mutha Construction has ambitious plans to establish its brand and presence across residential, commercial, retail and hospitality categories of real estate development with a focus on quality, affordability and transparency. “To create wealth and deliver value to all stakeholders”, that's what Mutha Construction stands for.